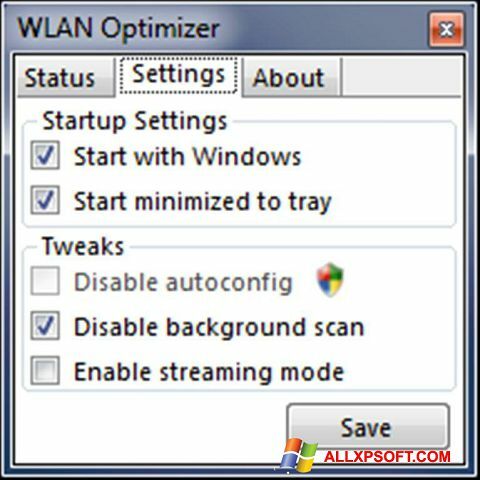 WLAN Optimizer for Windows XP allows you to optimize the speed of the wifi connection, reduce the delay when working with the network. The tool disables unnecessary processes, stops background processes. This reduces the load on the system. The application will be appreciated by gamers and owners of weak computers. Among the advantages of the utility, you can note the operational work, the presence of automatic, manual modes, the possibility of optimizing the OS for each of the device's inclusions. Implemented a simple interface that allows you to quickly master the program. To get started, just select the device, the connection point, and then decide on the necessary parameters. You can free download WLAN Optimizer official latest version for Windows XP in English.